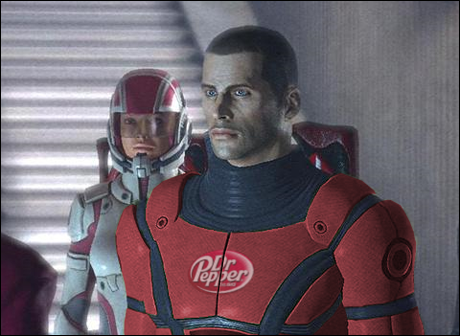 Dr. Pepper Soon Offering… Electronic Arts DLC? | The Gamesmen- What role will YOU play? »Gaming Deals»Dr. Pepper Soon Offering… Electronic Arts DLC? Dr. Pepper Soon Offering… Electronic Arts DLC? Game enhancements for The Sims 3 feature theme-based bundles including Vintage Vegas, Beach Party, Celebrity and Football. In Spore, a dozen Cyborg-themed body parts – such as eyes, heads and arms – can be redeemed and used in the Spore Creature Creator. In Mass Effect 2, there are three unique pieces of armor: two helmets and a visor. In Battlefield: Bad Company 2 four kit upgrades allow you to become a unique Special Activities soldier, with new camouflage and a modified weapon.